Our Ms Western 2Y’s last natural calf at 15 years of age, Lady is carrying on in her mother’s footsteps. Daughters have gone to Gibbons Farms, Kulyk Simmentals, Don Ceasar, Robert Younger and Michelle Mostrom, ND. Lady is appropriately named and is a consistent producer, just goes out and gets it done year after year, 7 heifer calves already and we’re waiting to see what she has this year due in a week or so. 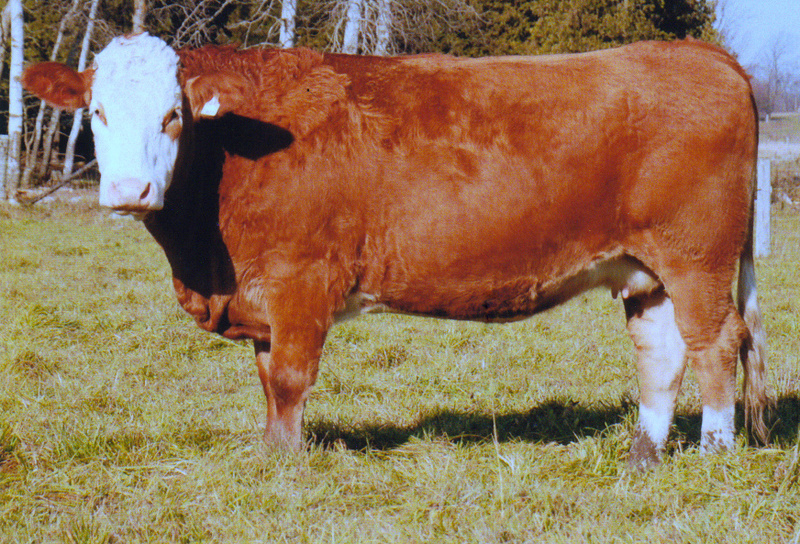 Lady’s maternal sister, Western Lady, is now at work at Applecross in Alberta were her offspring have been topping fullblood bull sales this past couple of years. Lady’s mother, Ms. Western left big shoes for her last born daughter to fill and “Lady” has most certainly answered the bell. WOW!